We are Sussex’s most successful hog roast hire and catering company, but we can’t take all the credit, a good chunk of it deserves putting on our hog roasting machines. It’s the hog roasting practice and the machines we use to hog roast that are responsible for a good part of the finished product. Sure, we turn the machines on and source only the finest of local food, we mere humans guarantee that the event goes without issue, but it’s the machine that does the most valuable work. It’s the expertly crafted and finished machine that ever so slowly roasts the hog, keeping it constantly turning so all those natural juices and goodness aren’t lost – We’d love to tell you that our chefs and staff members once trained Raymond Blanc and it’s for this sole reason that our catering is mouth wateringly amazing, but we can’t. A huge factor in the quality of our catering, reputation of our company and overall success comes courtesy of our market-leading machines and quality of produce – We can take some credit for that, as we’re also butchers! Pig, lamb, chicken, beef, just a few of the meats we can spit roast for you. It doesn’t stop there though; the machines also house a grill for barbecuing and can cook side dishes. As with our meats we make sure the produce used for all the food we cook is second to none. Being based locally we’ve been fortunate enough to have built working and social relationships with many farmers in Burgess Hill and Crowborough, suffice to say we get some good deals on fantastic local produce and we always put it to good use here at Hog Roast Hire Tonbridge! Still not sold? Well here are some more advantages to our machines. The machines come with accessories that let you cook more than just the humble hog – You could cook a lamb, cuts of meat, whole birds, fish and practically anything of your liking. And unlike whole hogs or lambs, if you were to cook chicken you could simultaneously roast 30 of them at once! How does 80 potatoes cooked on one machine sound? The interior of the machines also allow for several traditional cooking methods such as grilling and boiling, perfect for cooking up some tasty side dishes to complete your spit roasted meats. They’re amazingly efficient and have a huge output capability, no matter what you decide to cook. With a Hog Roast Hire Tonbridge you could feed well over three hundred people with only a single machine, without so much as breaking a sweat. Our heavyweight (In the boxing sense, they’re actually very mobile) machines will more than feed a small army, if you happen to have a small army on hand. Perhaps the more impressive feature when looking at food output is when looking at the machines relative to just how little effort needs putting in. Unlike traditional cooking methods where you would often need a number of very capable chefs to feed huge swathes of people, with the ease of use these machines provide only one chef is needed. 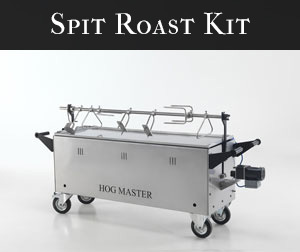 We’ve been building hog roasting machines for more than 50 years, with constant improvements and upgrades being made to our models throughout that time to ensure we’re always producing the best spit roasting machines on Earth. We’re constantly self-analysing as all good companies do, looking to one-up not only the competition but also improve our Hog Roast Hire Tonbridge service. We’ve stood at the forefront of hog roasting manufacturing for decades and you can be comfortable in the knowledge that when you’re buying from us, you’re buying the best the market has to offer. Hog roast catering is an extremely healthy and natural way to cook food. This is why we have world famous chefs and diet-critics of the likes of Jamie Oliver pestering us for our machines! In an age where health and what we eat is carefully examined and threat over, it’s hugely important to provide food that’s excellent in taste but also nutritious. When it comes down to it, clients are won and lost on the small details – Having a healthy service might not be your selling point or market, but it’s a great weapon to have in your arsenal, it’s certainly helped our business over the years! Please E-Mail us via the Contact Page or give us a ring between 9-5 if you’re interested in hiring out a machine(s) and would like more detailed information. There are a considerable amount of people that are choosing the Hog Roast Hire Tunbridge Wells option in opposition to purchasing one. In fact, a large portion of our present clientele actually prefers to hire our machines for simple special events that they are hosting that require an adamant amount of food for their large amount of guests. However, there are still some people that do not have a strong understanding of why anyone would even consider hiring a hog roast for their big events. Well, we have decided to help make your decision process a little bit easier when it comes to hiring a machine. We have compiled a basic list of why some of our most respected clients tend to hire our machines to cater all of their special events. Hiring a hog roast machine is inexpensive- When it comes to hiring one of our machines you will not be required to have to render a large sum of money for the machine. However, if you were opting to purchase a machine you would be required to make a large investment to buy the machine off of us. A typical hog roast hire Tunbridge Wells can range from £1000 to £2000, in most cases. Hog roast machines cook a large amount of food for a large event- One of the basic reasons why people tend to hire our machines is because they are suddenly required to provide food for a large group of people. 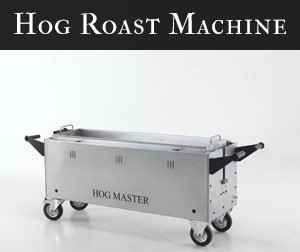 Our hog roasters have the ability to provide food for up to 125 people at a time. 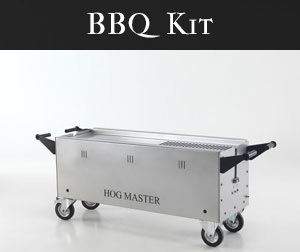 Interested in starting a catering company- There are a lot of valued clients that we posses that are actually on the verge of starting their very own catering company, thanks to the fact that we hire our hog roast machines. With being given the option to hire a hog roast machine, individuals are able to save up their money while trying to begin their business. Hog roasts are delicious- There are a lot of people that hire out a hog roast machine simply because they appreciate the succulent taste of an incredibly juicy roast. Many clients have told us that nothing can compare to the delicious tastes of a tender hog roast that has avidly been roasting on one of our machines for an allocated time frame. Hiring a hog roast is hassle free- Our clients enjoy the fact that when they opt to hire a hog roast from us the process is not extremely stressful. We tend to ask a few simple questions regarding where to transport the hog roast to, and things of that nature. However, the ordering process is simple and your hog roast machine will be delivered with haste to your catering location. There are actually many diversified reasons why our clients elect to hire a hog roast for their events. However, who could blame someone that wants a Hog Roast Hire Tunbridge Wells for their guests? Aside from being able to cook a sweet smelling hog on one of our machines, you also have the option to cook any sized medium animal that you desire.